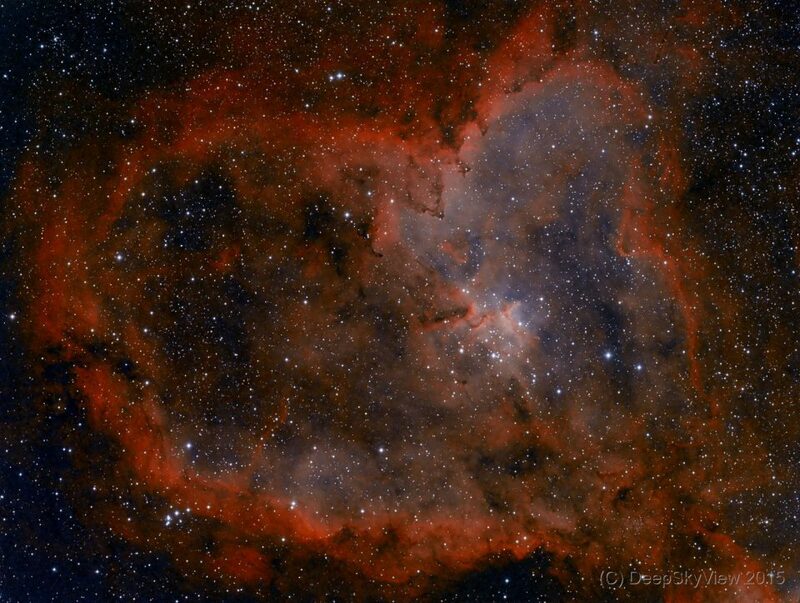 The Heart Nebula IC1805 – it is kind of obvious why it got its name. The Heart Nebula is an emission nebula and star forming region of almost 200 light-years across, located within the Perseus Arm of our Milky Way galaxy, about 7500 light-years away in the northern constellation Cassiopeia. This is a two-color narrowband composite using Ha and OIII data taken at Deep Sky West. I will definitely come back to this target wit the full narrowband data set.